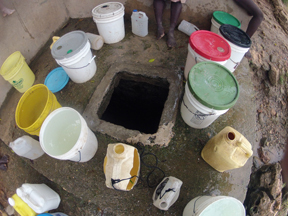 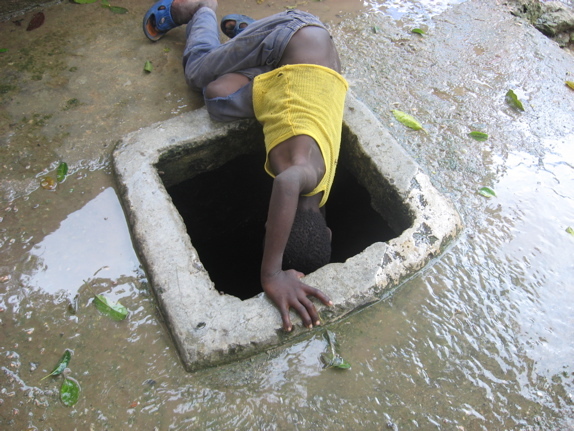 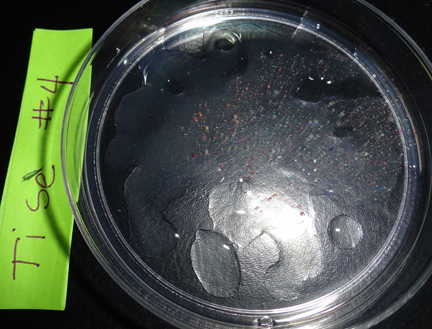 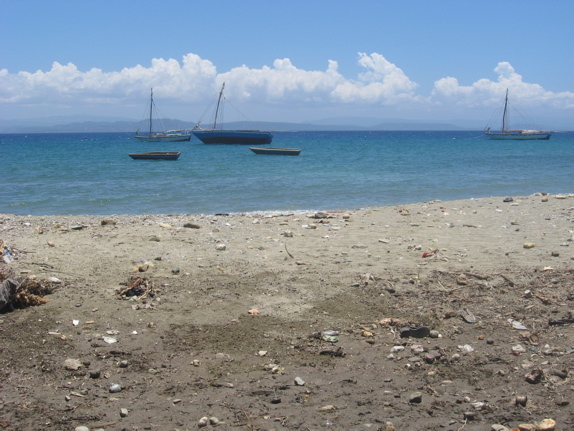 Many common community areas, particularly those close to the shoreline, are without toilets, resulting in water contamination from human waste. 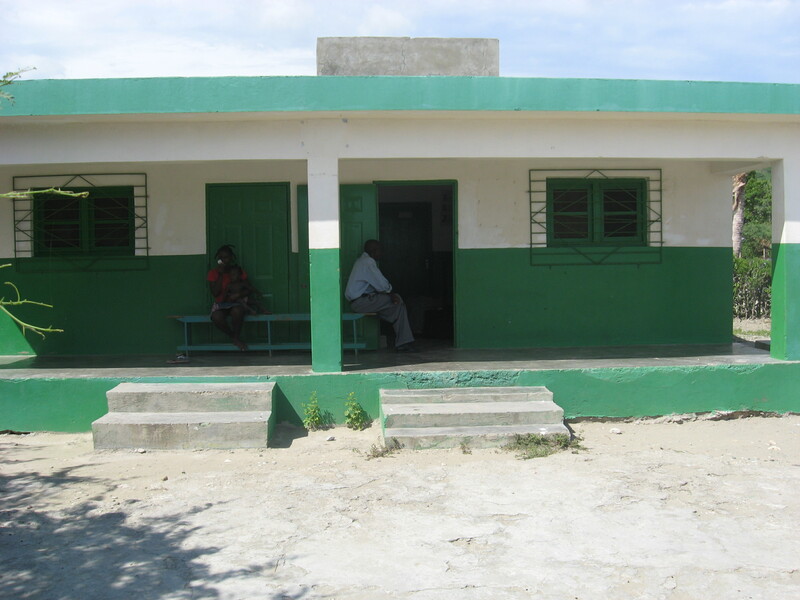 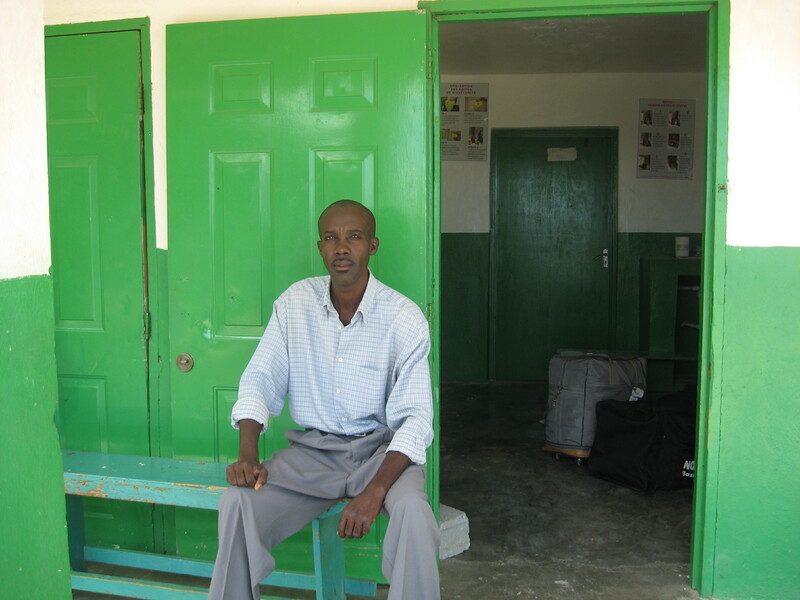 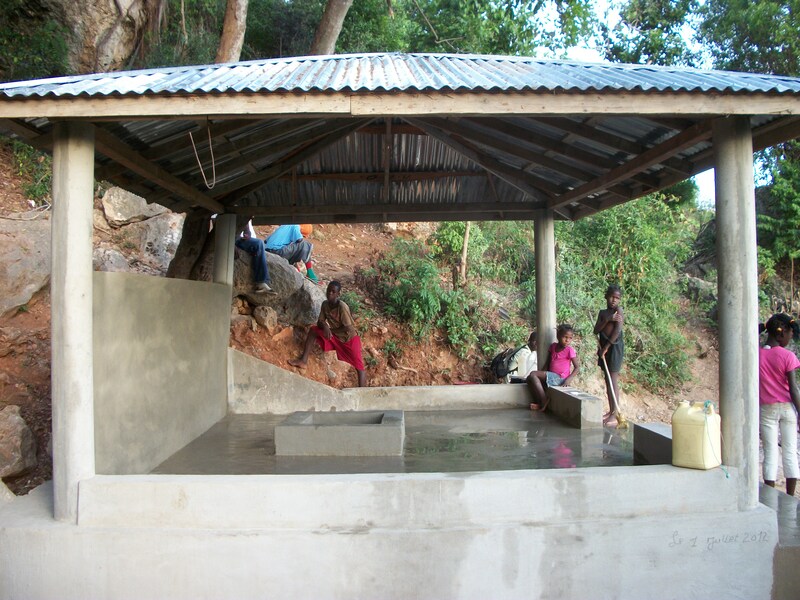 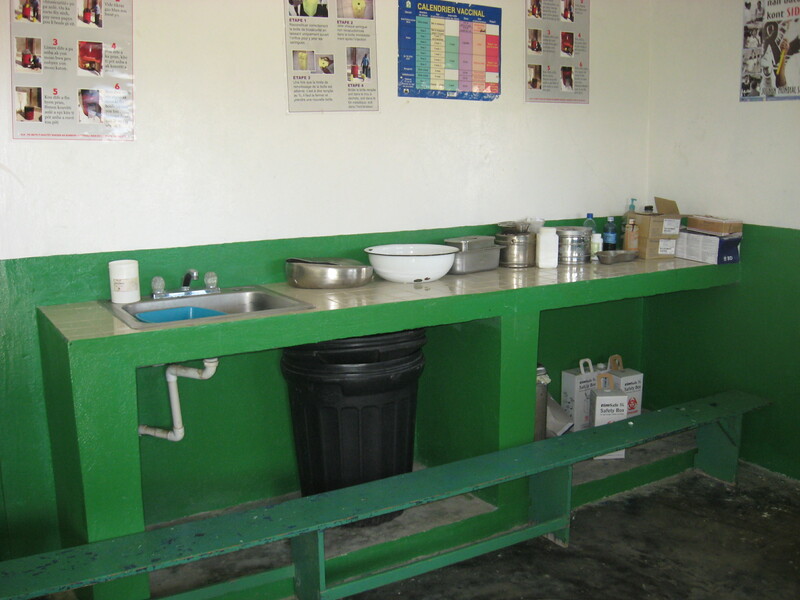 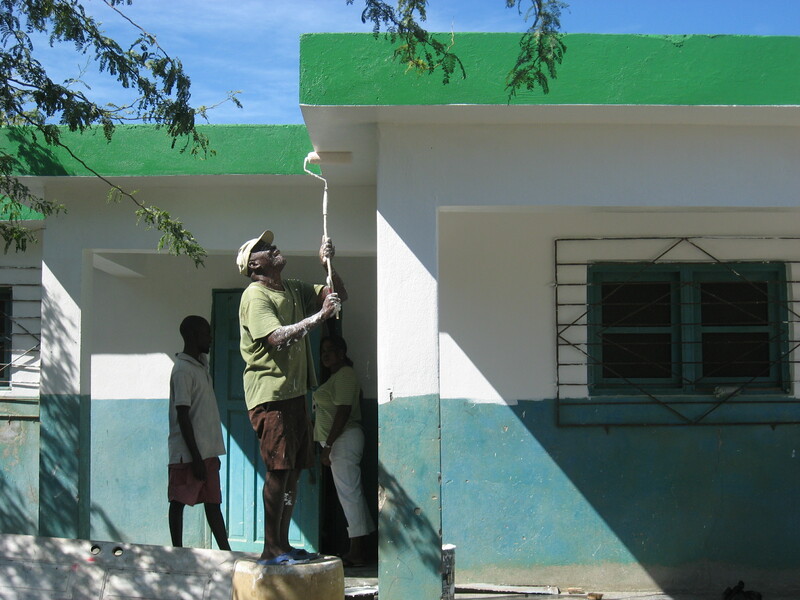 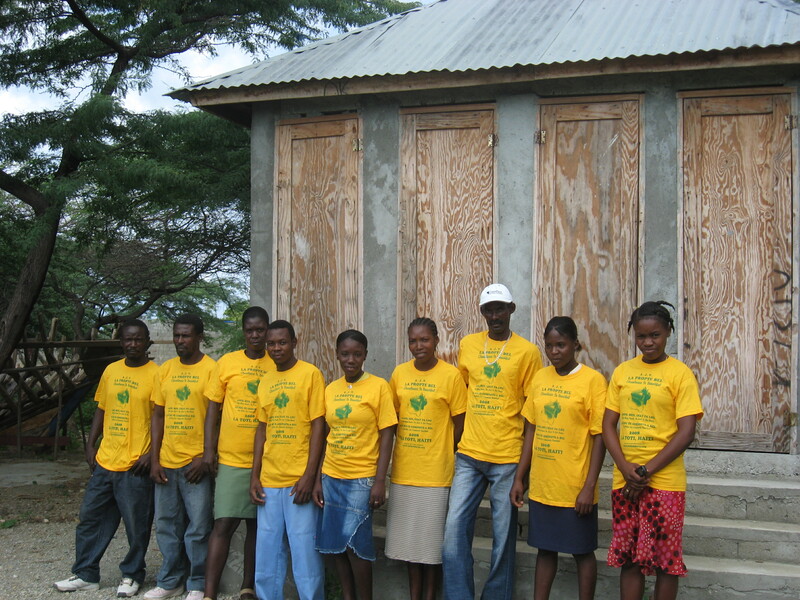 In 2008, Bellot Idovia funded and facilitated the building of 3 public toilets in the town of Lavalle on La Toti island. 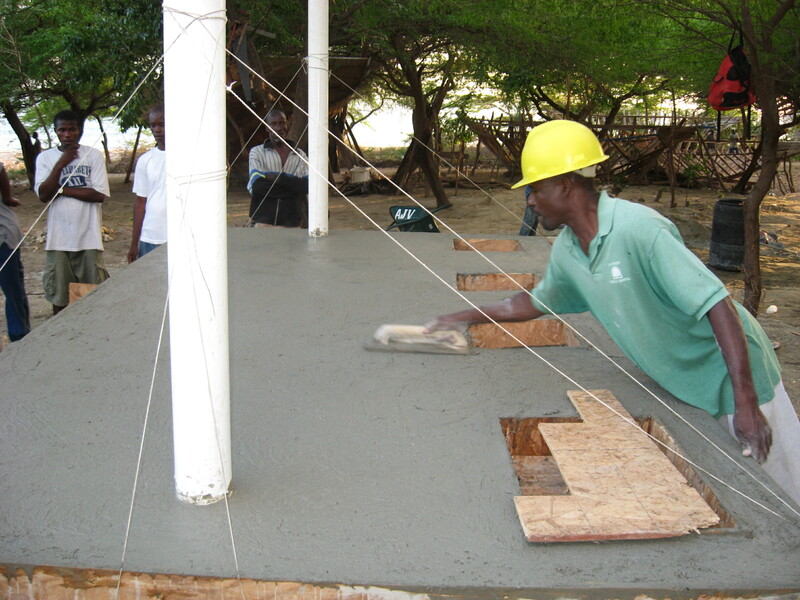 Similar projects in surrounding towns are in the planning stage. 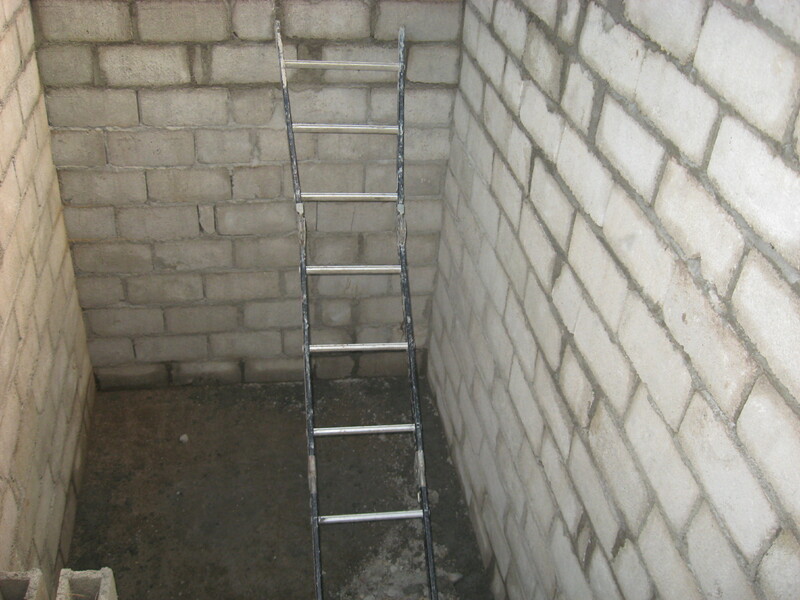 We will also be collaborating with S.O.I.L. 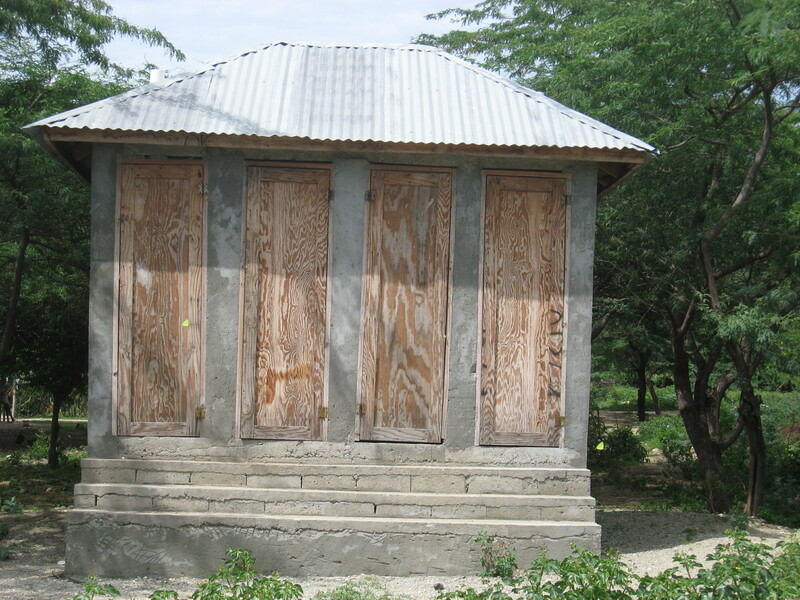 to build sustainable composting toilets in the near future. 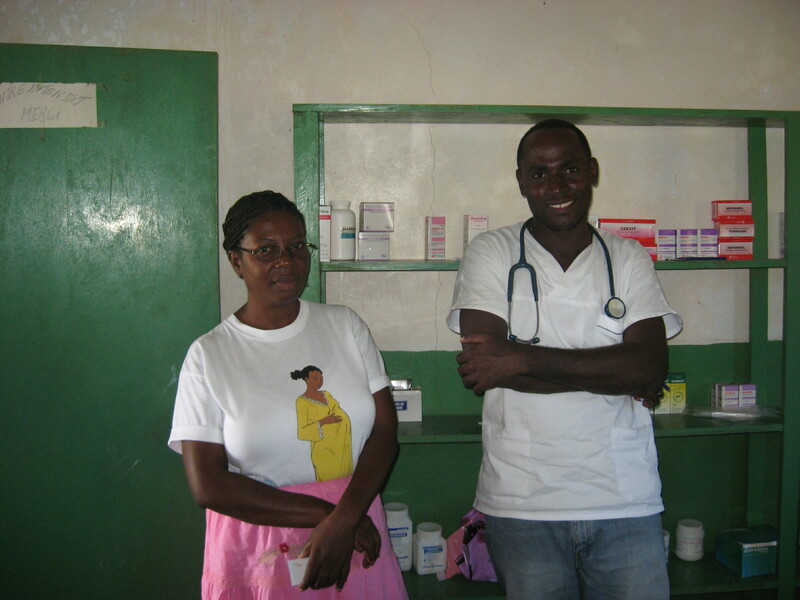 Since 2007, Bellot Idovia has been coordinating with local nurses and doctors to upgrade the community clinic and make health care more accessible. 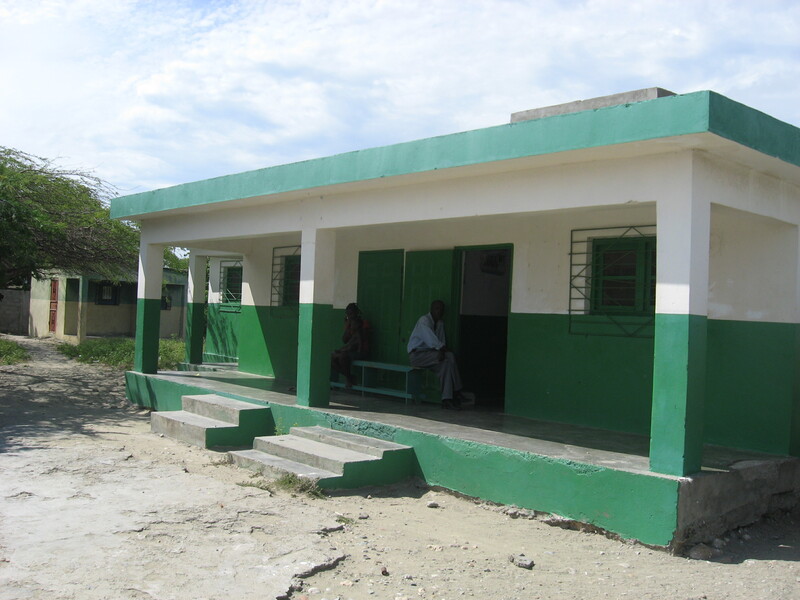 Over the past few years, we have repainted the clinic, put in new windows and doors, installed a generator, and brought 3 separate shipments of sorely needed medications. 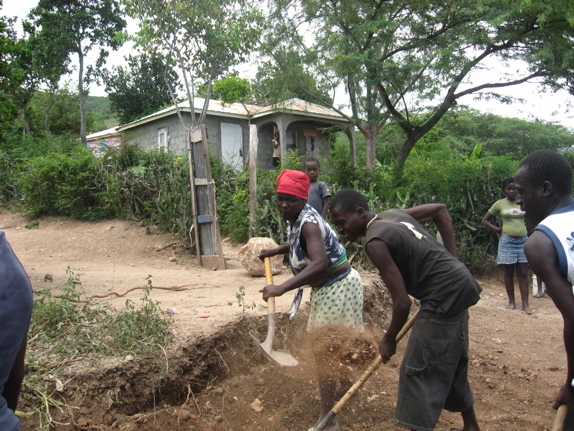 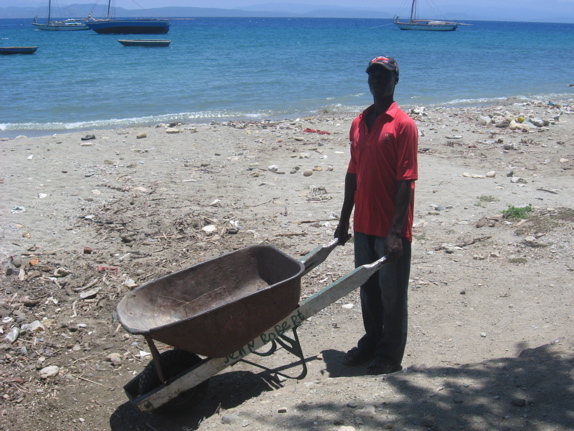 In 2008, we organized, supplied, and facilitated a twice-weekly community clean-up crew called La Pwopte Bel. 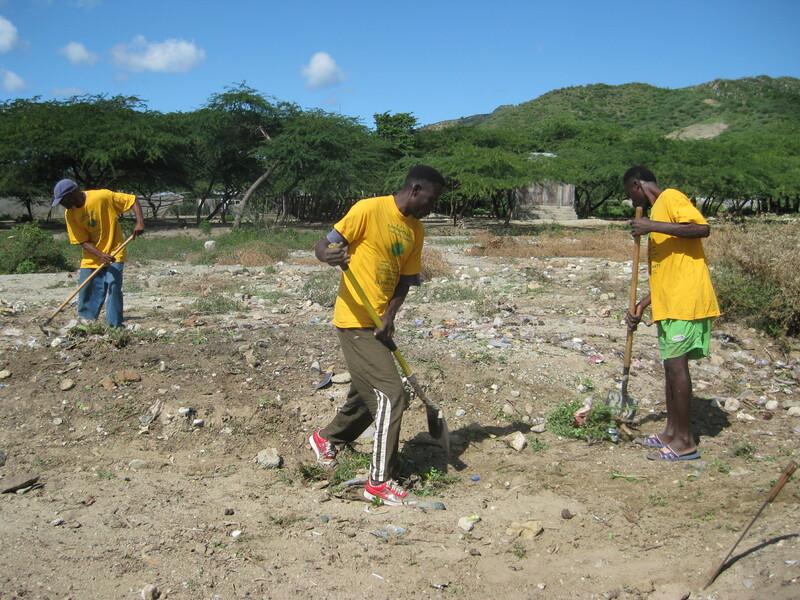 Focusing on the coastal areas, this large group of young residents continues to clean and maintain La Toti, while spreading the message that “Cleanliness is Beautiful.” We are expanding this program town by town around the island. 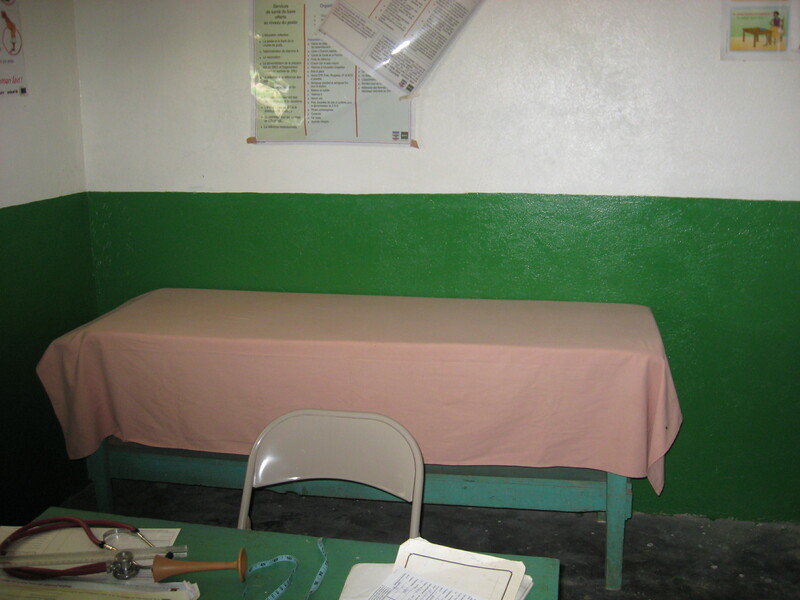 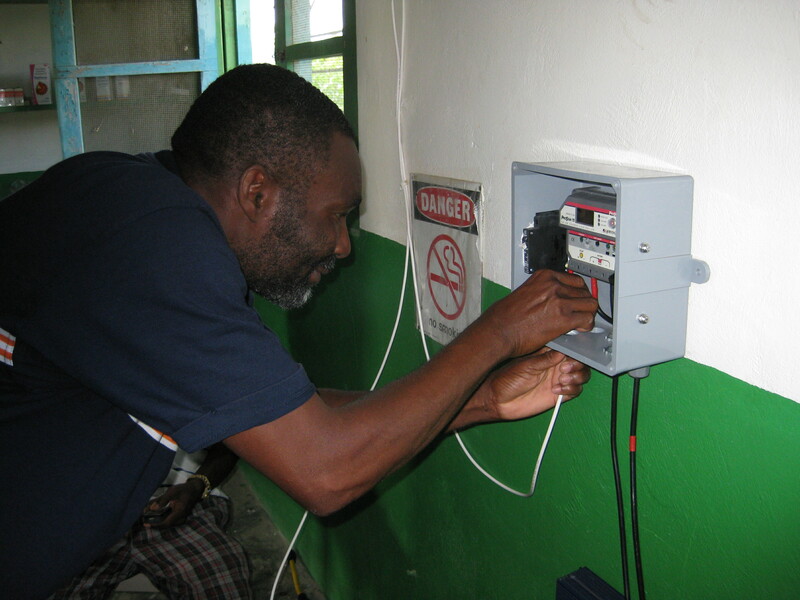 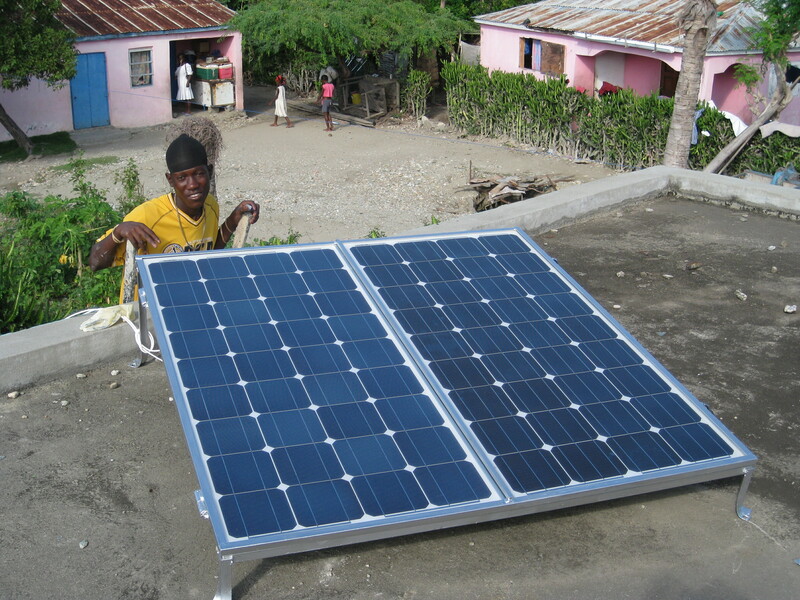 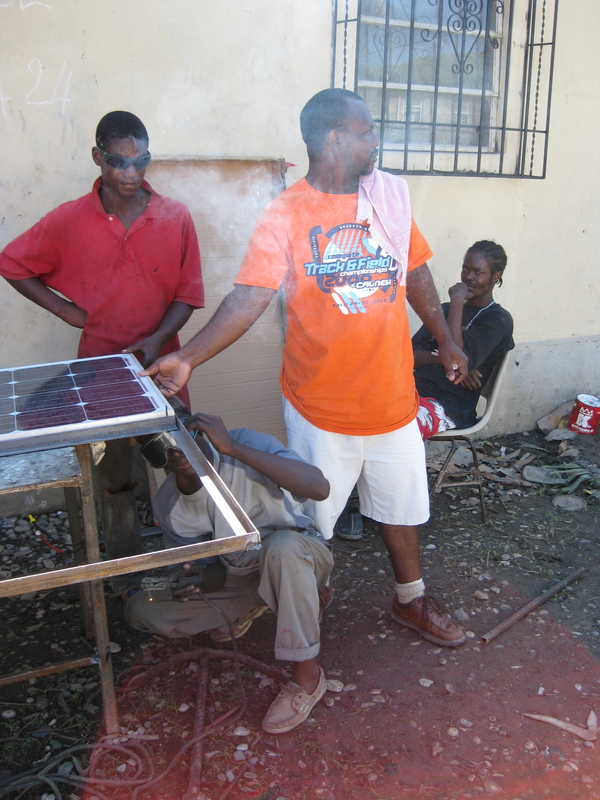 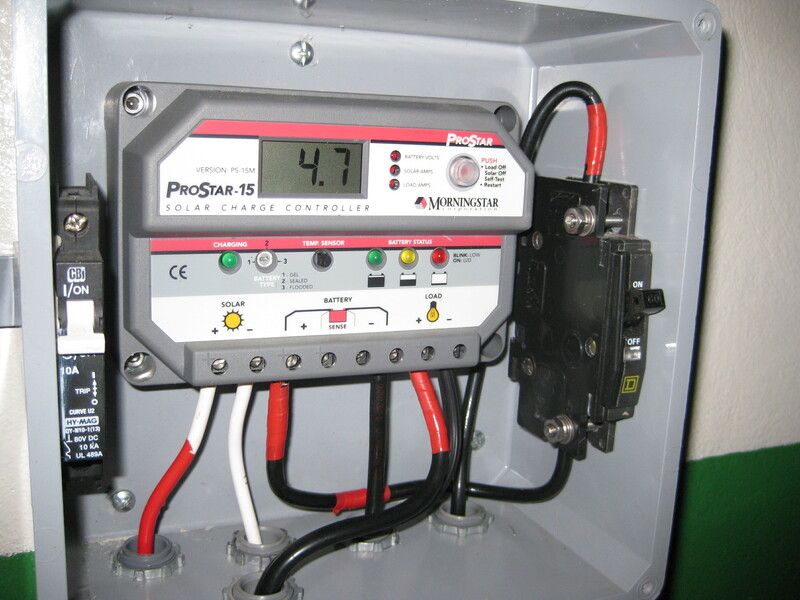 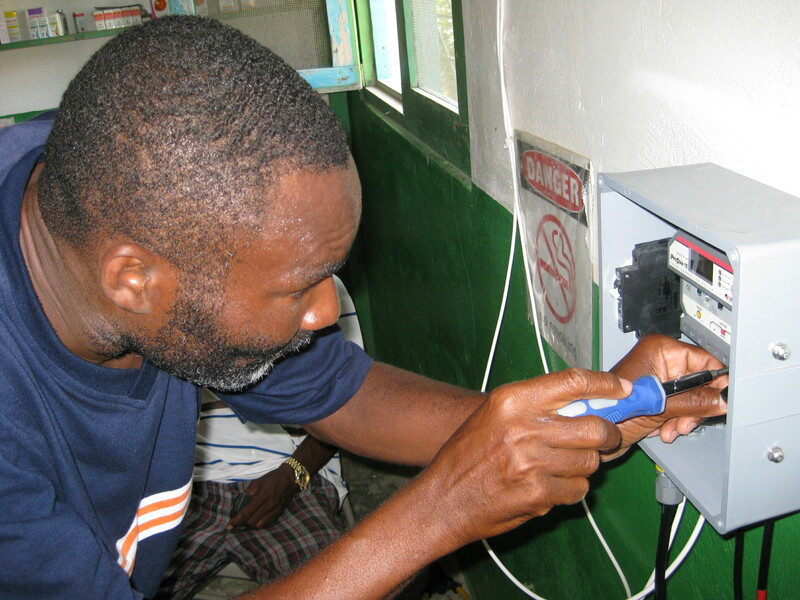 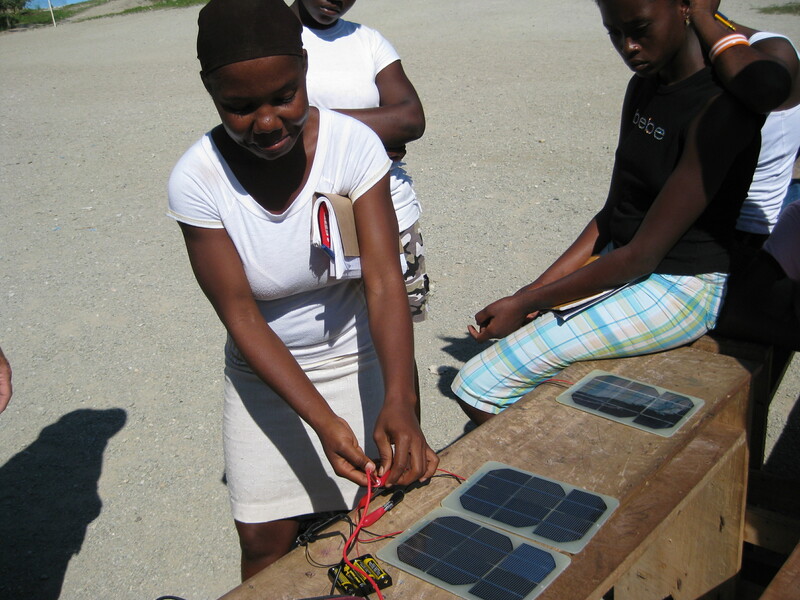 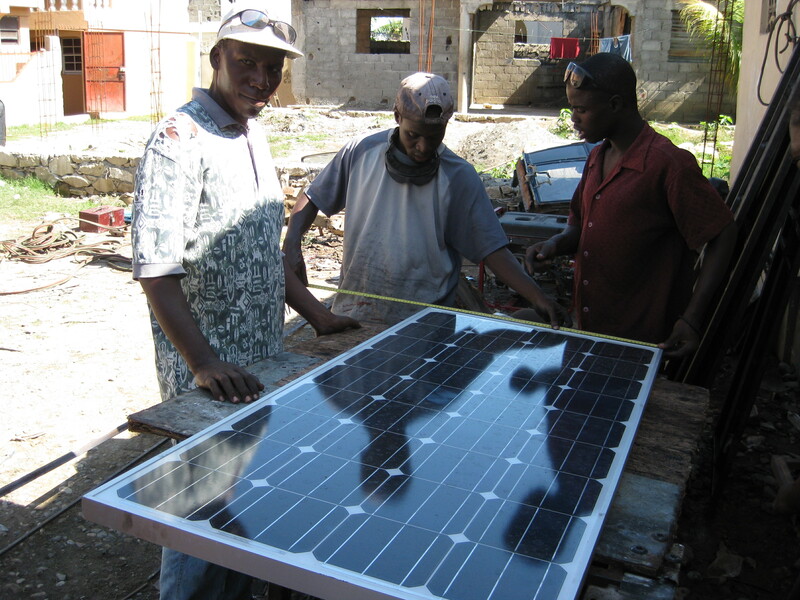 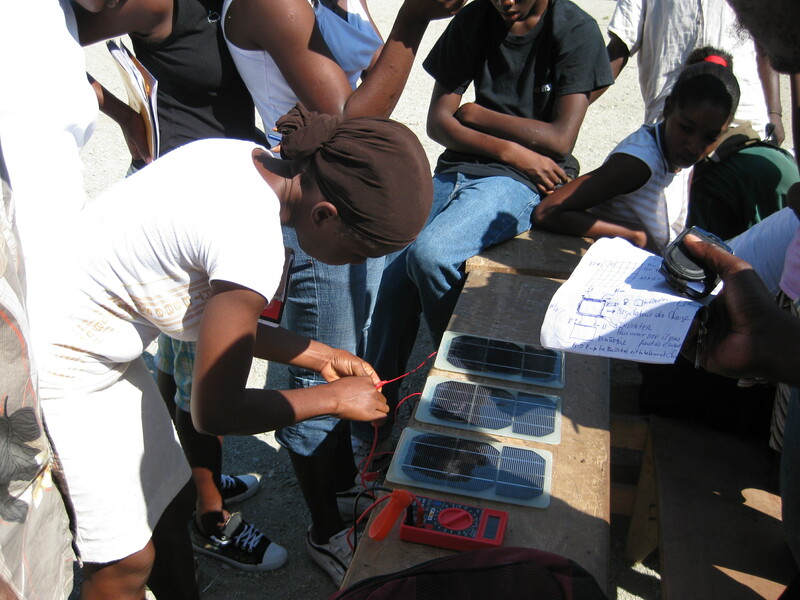 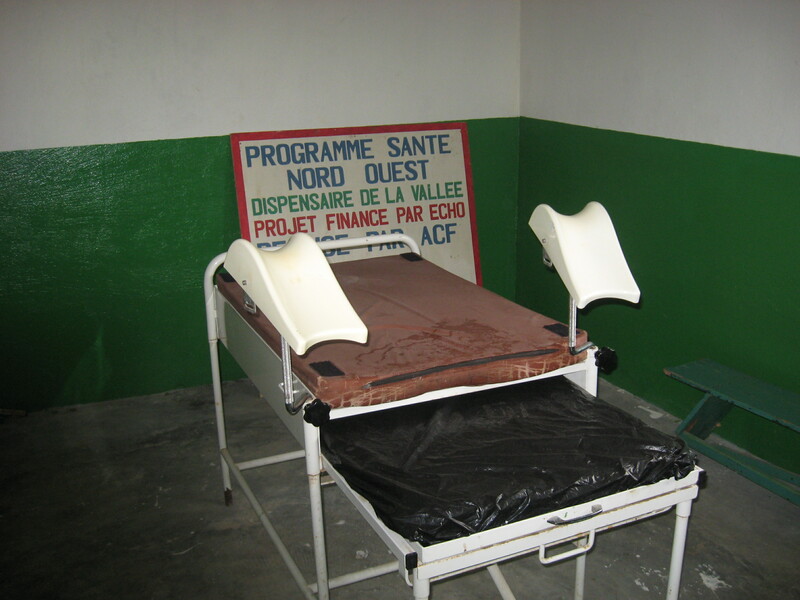 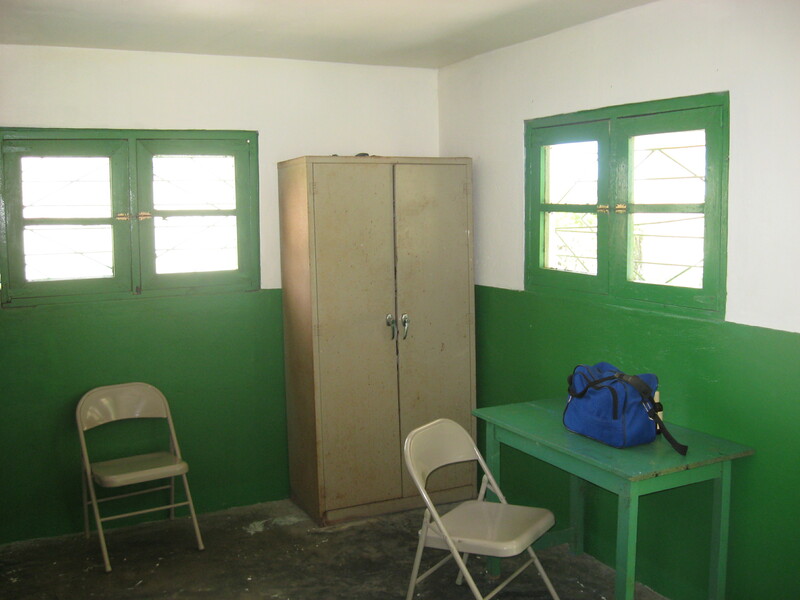 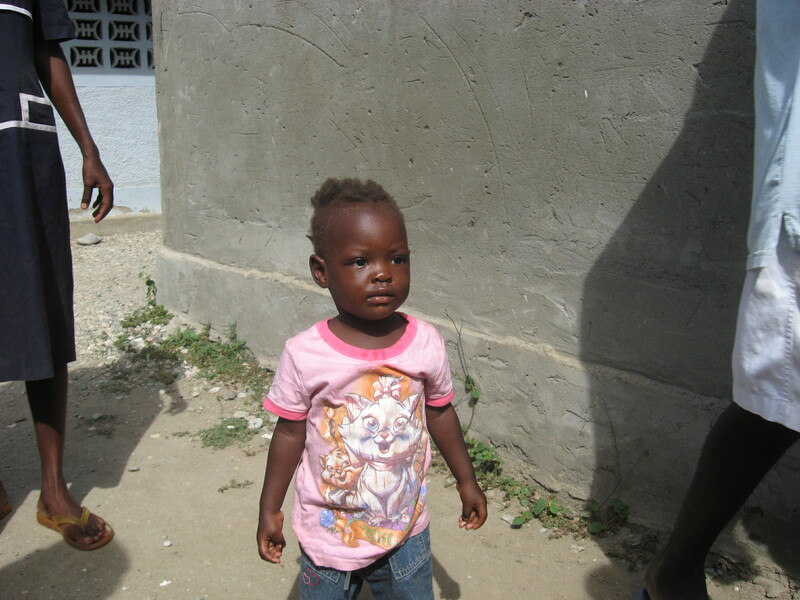 In November of 2009, we helped the people of La Toti install solar panels on the community clinic and public toilets. 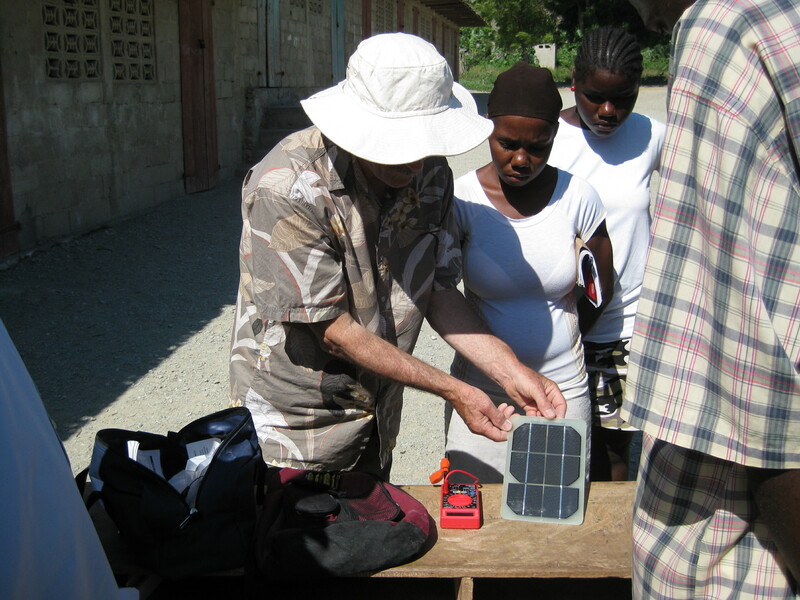 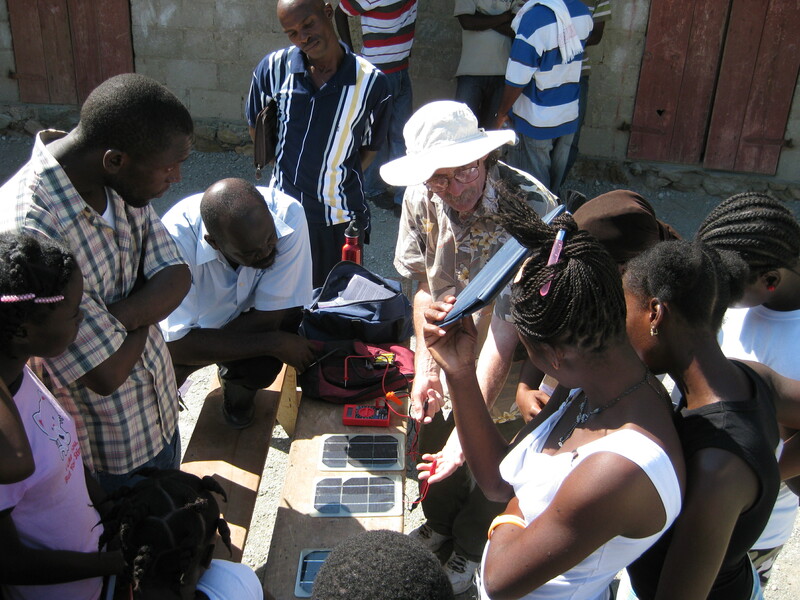 Solar expert Bruce Gardiner went to La Toti with BIF members and showed local residents how to install and maintain solar panels, beginning the local development of renewable power. 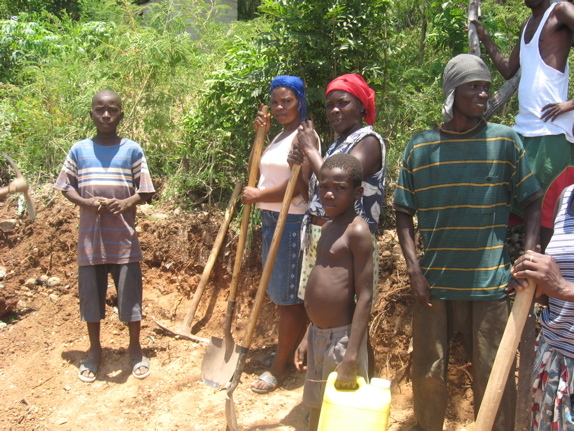 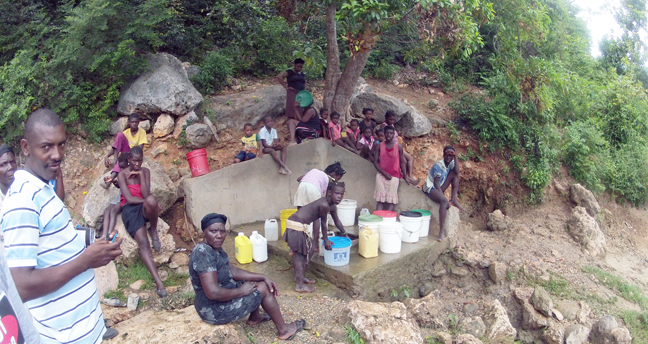 In 2010 Bellot Idovia Foundation initiated the Community Water Project, with the mission to work with the local community to develop and maintain permanent, safe water supplies. 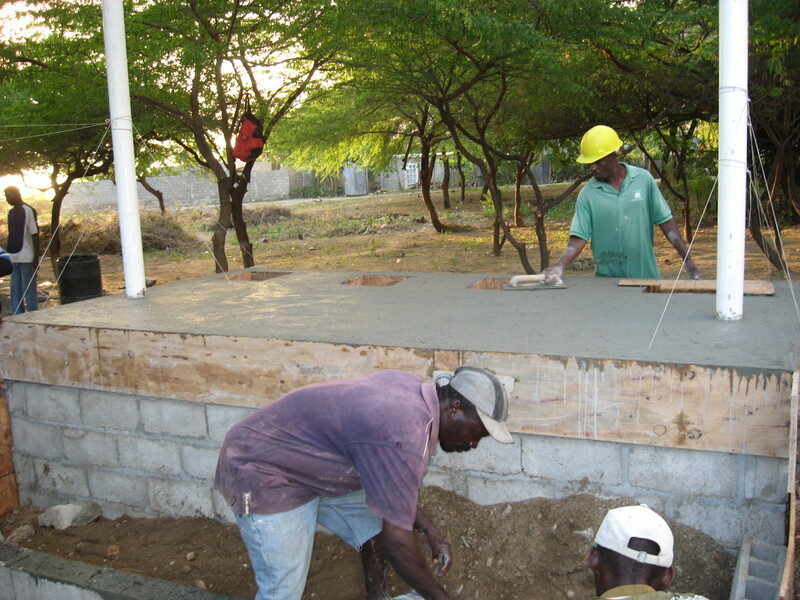 Since then we poured concrete foundations for dug wells and installed the first permanent water pump on the island of La Toti. 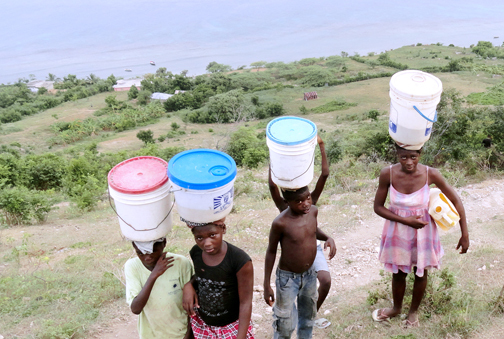 On a regular basis we distribute personal water filters, survey and test water wells, and educate how to keep the water supply clean.